Kate Schneider likes clunky buildings. 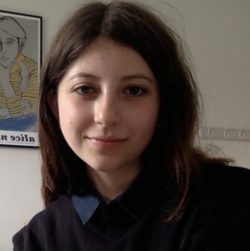 She recently graduated from an MPhil in Criticism and Culture at the University of Cambridge, where she wrote on feminism and New Brutalism. 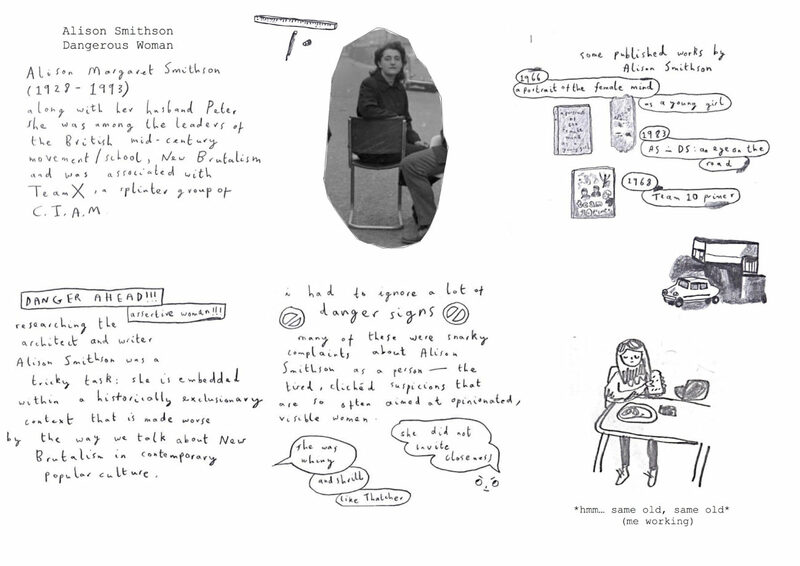 Her research interests include 1950s and 60s experimental literature and architecture, particularly B.S. Johnson, Humphrey Jennings, and The Smithsons. Along with her husband Peter, she was among the leaders of the British mid-century movement/school, New Brutalism, and was associated with Team X, a splinter group of CIAM. 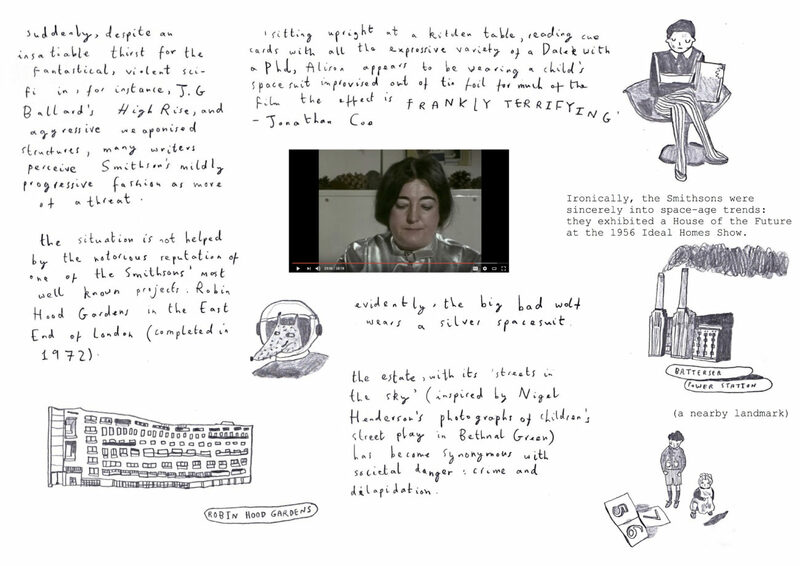 Researching the architect and writer Alison Smithson was a tricky task: she is embedded within a historically exclusionary context that is made worse by the way we talk about New Brutalism in contemporary popular culture. I had to ignore a lot of danger signs. Many of these were snarky complaints about Alison Smithson as a person — the tired, cliched suspicions that are so often aimed at opinionated, visible women. ‘She was whiny… and shrill… like Thatcher’; ‘She did not invite closeness’. *Hmm… same old, same old* (me working). In the many recently published books I read about Brutalism, I found there was a peculiar maleness. A respect for danger when it was associated with characteristically male traits and perspectives… but genuine discomfort and fear when it was associated with real women and feminine and female spaces. E.g. Balfron Tower is praised for being muscular, masculine, with no concession to an architecture of domesticity, and inspiring a delicate sense of terror. For some critics, such as Jonathan Meades, Brutalism’s familiar criticisms — its confrontational ugliness, cold sterility, and gestures to Totalitarianism are evidence of its greatness and savage sublimity. Suddenly, despite an insatiable thirst for the fantastical, violent sci-fi in, for instance, J.G. 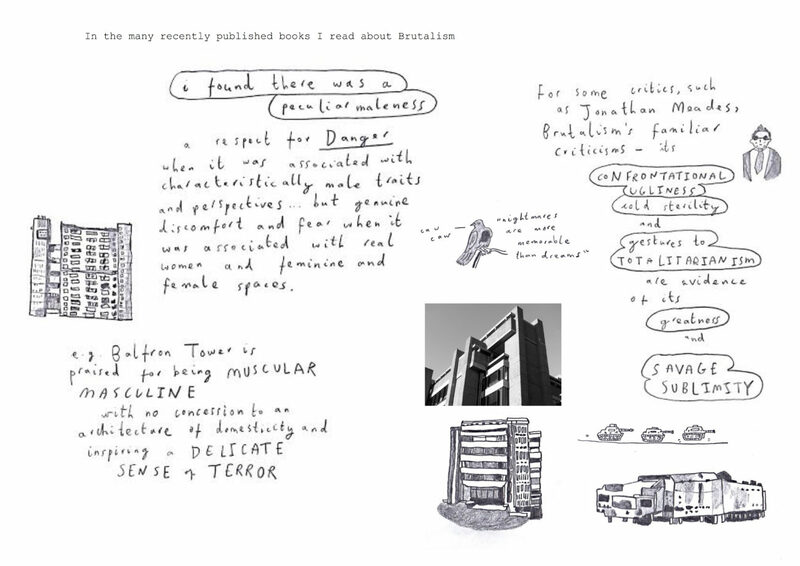 Ballard’s High Rise, and aggressive weaponised structures, many writers perceive Smithson’s mildly progressive fashion as more of a threat. ‘Sitting upright at a kitchen table, reading cue cards with all the expressive variety of a Dalek with a PhD, Alison appears to be wearing a child’s spacesuit improvised out of tin foil for much of the film. The effect is frankly terrifying’ – Jonathan Coe. Evidently, the big bad wolf wears a silver spacesuit. Ironically, the Smithsons were sincerely into space-age trends: they exhibited a House of the Future at the 1956 Ideal Homes Show. The situation is not helped by the notorious reputation of one of the Smithsons’ most well known projects, Robin Hood Gardens in the East End of London (completed in 1972). The estate, with its ‘streets in the sky’, inspired by Nigel Henderson’s photographs of children’s street play in Bethnal Green) has become synonymous with societal danger: crime and dilapidation. But, beyond these readings is an important aspect of Brutalism: its interest in inhabitation, adaptation, and accommodation. Alison Smithson was interested in bringing together domestic and family life with avant-garde experimentation. Her children appear in the photographs of the Smithsons’ homes, playing and laughing — very different to, e.g., Le Corbusier’s still lifes. 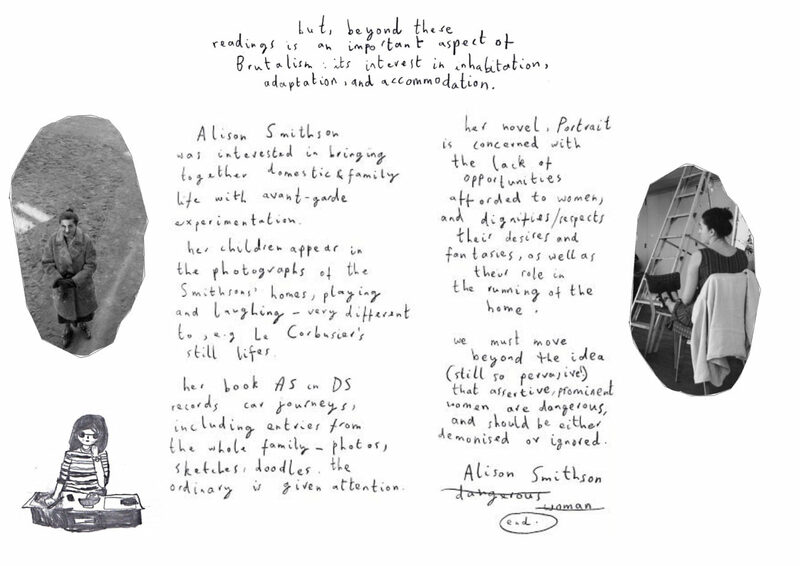 Her book AS in DS records car journeys, including entries from the whole family — photos, sketches, doodles. The ordinary is given attention. Her novel, Portrait, is concerned with the lack of opportunities afforded to women, and dignifies/respects their desires and fantasies, as well as their role in the running of the home. We must move beyond the idea (still so pervasive!) that assertive, prominent women are dangerous, and should be either demonised or ignored.